Earlier this month, director Doug Liman announced the title for the highly-anticipated Edge of Tomorrow sequel, revealing the new film will be titled Live Die Repeat and Repeat. Speaking on the Happy Sad Confused podcast (via Collider), Liman further elaborated on the Tom Cruise/Emily Blunt sequel and his philosophy on making one. Liman further spoke on the film, saying not to expect any further films and that the sequel would be the end of the series. 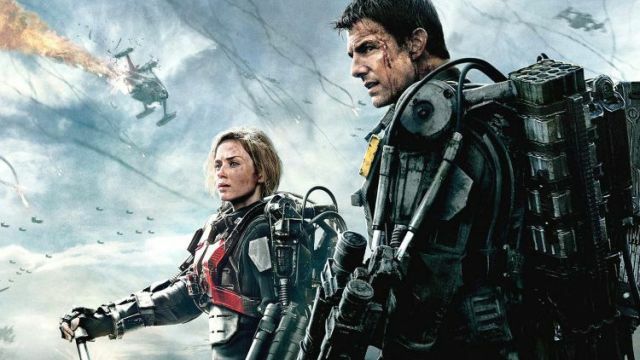 Directed by Liman, the first Edge of Tomorrow brought in just north of $100 million at the domestic box office, and cleared $370 million worldwide. The film also starred Bill Paxton, Noah Taylor, Kick Gurry, Dragomir Mrsic, Charlotte Riley, Jonas Armstrong, Franz Drameh, Masayoshi Haneda and Tony Way. The movie was based on the acclaimed novel “All You Need is Kill” by Hiroshi Sakurazaka.